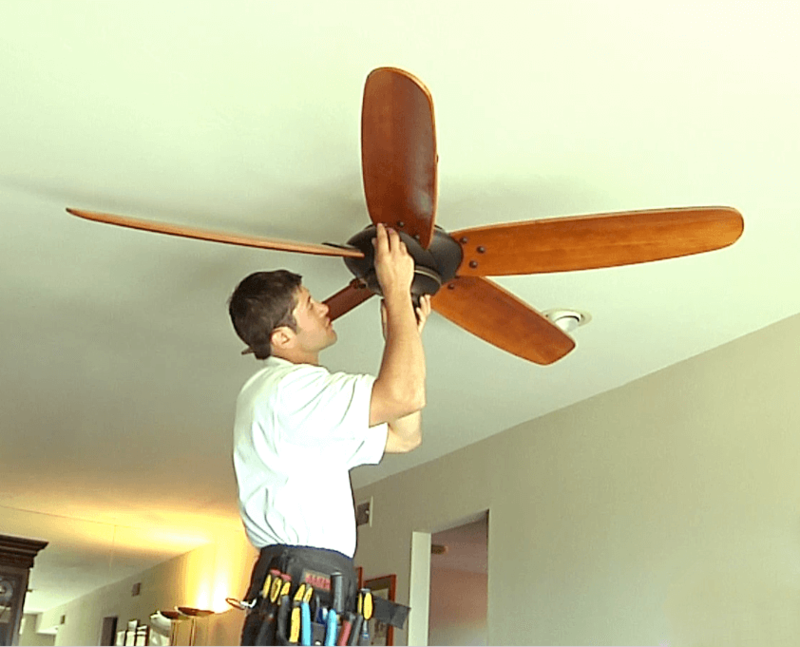 When it comes to ceiling fan installation, a homeowner will need the technical knowledge and skills of an electrician. If there is any type of installation involving electricity, there is a danger to people who are unskilled or inexperienced. Although many homeowners are capable of various do-it-yourself projects, ceiling fan installation is a more challenging project. The process demands knowledge of electrical wiring as well as knowledge of how to properly mount and secure a heavy object. These are reasons why a licensed and certified electrician should do this type of installation. The first step an electrician takes to installing a ceiling fan is choosing the right type of electrical box. Good performance depends upon proper installation. Proper installation starts with installation of the electrical box that houses all the wiring needed to operate a ceiling fan. The electrician will determine if the present electrical box is adequate for the wiring or needs replacement to accommodate a new fan. Properly wiring all the components is the next step in ceiling fan installation. There are many home-based accidents involving individuals getting hurt during appliance installation because they are unfamiliar with wiring. Electricity is dangerous and should be treated with constant respect. An electrician understands the power of electricity and has plenty of experience working with it in a safe and proper manner. Many homeowners are not familiar with how much weight a ceiling can bear. 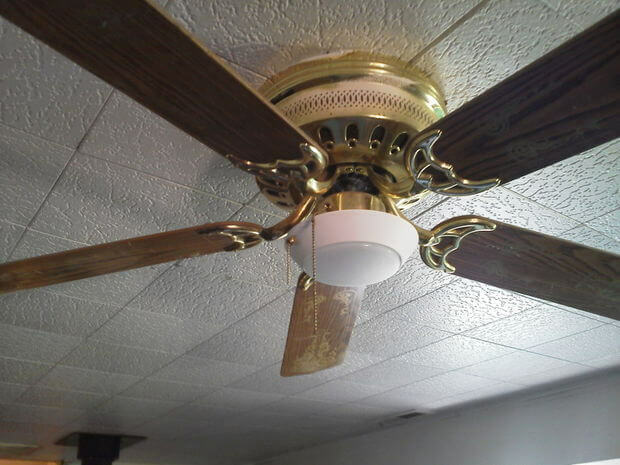 An electrician can help tell a homeowner how big a fan should be to keep the ceiling from bearing too much weight. Also, the electrician understands the special type of ceiling fan bracket that must be used to keep the ceiling fan in place. 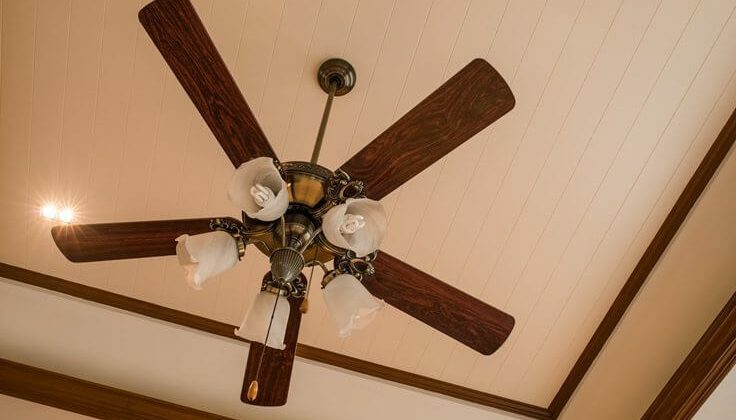 When homeowners do try to install ceiling fans by themselves, the fans are often not properly installed and become wobbly. If a fan is wobbly, then a homeowner needs to call an electrician immediately. Because an electrician comes across this situation a lot, he or she understands it is necessary to make sure the fan blades are properly aligned and correctly fastened. An experienced electrician will be able to check blade alignment by gently guiding each blade into its proper position. Electricians also have balancing kits to help correct improper installations. Since most people are not comfortable working with electricity, especially when it comes to installing new wiring to a power source, as well as cutting and possibly constructing electrical box mounts, using an electrician is a good choice.